But the best thing about this book is that, every time I told people I was about to read Beloved, they’d groan in a way that was difficult to interpret. They wouldn’t elaborate, perhaps for fear of spoiling the story? It left me with this fear that the book was going to be really dense, difficult to read, gruelingly sad, or that I’d feel a significant amount of White Guilt while reading. I WAS NOT PREPARED FOR A GHOST STORY! I was also not prepared to be so thoroughly entertained by this creepy ghost story. Oh my goodness, the tension in this book is palpable, and the direction of the story was so delightfully unexpected. I mean, yes, this is a terribly sad story about HORRIBLE things that actual humans have done to other humans and is an accurate representation of the effects of those horrors, but I LOVED the physical manifestation, the literal physical manifestation of a ghost from the past, and the hope and vulnerability that comes with that hope. Oh man, this book was so horrific and terrific and hilarious and beautiful and deep and I don’t know if I would have appreciated all of that back in high school but I wish someone had tried to show me how. Oh, Maggie. You have found Toni Morrison. 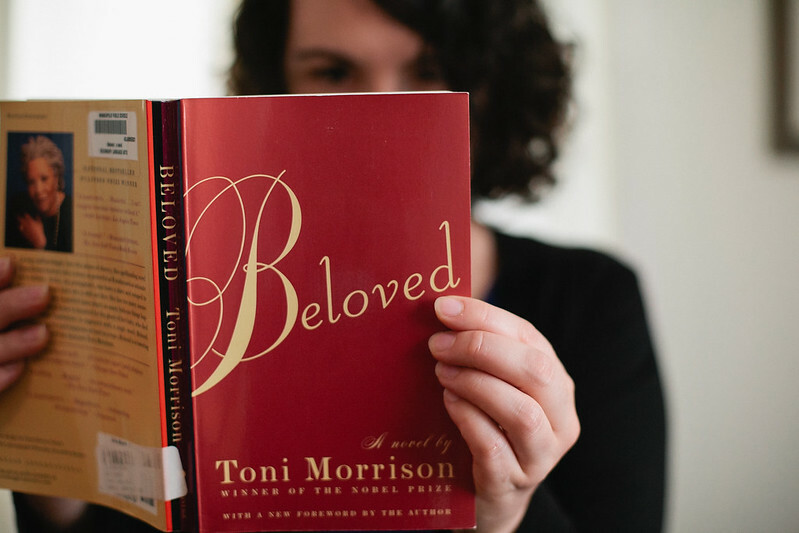 I read Beloved (waaay) back in high school, then again a couple years ago. Stunning. (It’s fantastic paired with Their Eyes Were Watching God.) I have Sula waiting in line, thanks to your review of it a while back. And now I’ll add this book to the list. May I also recommend to you Nikki Giovanni’s essay collection Racism 101? And may I also request that, if/when you and I meet in person, we talk about all these books? Why haven’t we met in person? We could plan a book exchange. I honestly forgot how beautiful spring can be.